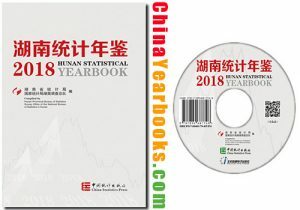 Ⅰ.Hunan Statistical Yearbook-2018 is an annual statistical publication,which reflects comprehensively the economic and social development of Hunan.It covers data for 2017 and key statistical data in some historically important years at provincial level and local levels of cities,prefecture and counties. Ⅱ.Hunan Statistical Yearbook-2018 includes a special issue and statistical figures.The special issue are Government Work Report and Statistical Communiqué of Hunan Province on the 2017 National Economic and Social Development.The statistical data contain the following 20 parts:1.General Survey;2.National Accounts;3.Population;4.Employment and Wages;5.Investment in Fixed Assets;6.Foreign Economy,Tourism and Development Zones;7.Energy;8.Government Finance,Banking and Insurance;9.Construction of Cities and Environmental Protection;10.Agriculture;11.Industry;12.Construction;13.Transportation,Postal,Telecommunication and Other Services;14.Wholesale and Retail Trades,Hotels,Catering Services;15.Education,Science and Technology;16.Culture,Sports and Public Health;17.Party and Mass,Politics and Law,Social Service;18.Regional Economy;19.Main Economic and Social Statistics Indicators of Cities and Prefecture;20.Main Economic and Social Statistics Indicators of Counties and Cities(districts).To facilitate readers,at the end of each chapter,Explanatory Notes on Main Statistical Indicators are included. 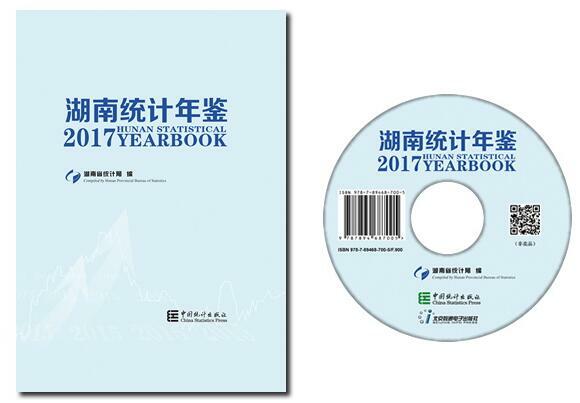 Ⅰ.Hunan Statistical Yearbook-2014 is an annual statistical publication, which reflects comprehensively the economic and social development of Hunan. It covers data for 2013 and key statistical data in some historically important years at provincial level and local levels of cities, prefecture and counties. Ⅱ.Hunan Statistical Yearbook-2014 includes a special issue and statistical figures. The special issue are Government Work Report and Statistical Communiqué of Hunan Province on the 2013 National Economic and Social Development. The statistical data contain the following 21 parts: 1. General Survey; 2. National Accounts; 3. Population; 4. Employment and Wages; 5.Investment in Fixed Assets; 6. Foreign Economy ,Tourism and Development Zones;7. Energy ;8. Finance, Banking and Insurance; 9. Construction of Cities and Environmental Protection; 10. Agriculture; 11. Industry; 12. Construction; 13. Transportation, Post and Telecommunication Services; 14. Wholesale and Retail Trades, Hotels, Catering Services; 15. Education, Science and Technology; 16. Culture, Sports and Public Health; 17.Party and Mass, Politics and Law, Social Service; 18. Regional Economy; 19. Main Economic and Social Statistics Indicators of Cities and Prefecture;20. Main Economic and Social Statistics Indicators of Counties and Cities (districts); 21. Main Economic and Social Indicators by Provinces (Municipalities and Autonomous Regions). To facilitate readers, at the end of each chapter, Explanatory Notes on Main Statistical Indicators are included. Ⅲ. Sinse the data of the Third National Economic Census are still under review and accumulation, some index data are preliminary statistics, and some index data are not available. Ⅳ. According to Classification of National Economic Industrics, relevant statistics are increased or adjusted to enrich relative Statistical Indicators in different degree. Ⅴ. All of the value indicators in this book are calculated by the same year’s prices. All of the indices are calculated by the constant price. Explanatory notes are provided behind the list in which if there are changes. Data of the book are composed by computers. Ⅵ. The book is edited according to the frame and standard of China Statistical Yearbook. The indicator explanatory notes are edited according to China Statistical Yearbook, and the units of measurement are internationally standard measurement units. The notations are standard notations of China Statistical Yearbook. Ⅶ. Figures in Government Work Report, the communiqué and Chapter 21 are preliminary statistics. Ⅷ. Notations used in the yearbook: “#” indicates the major items of the total; “(blank)” indicates that data are not available or the figure is not large enough to be measured with the smallest unit in the table. Ⅸ. Based on our limited level, perhaps there are some mistakes in the book, we welcome all candid comments and criticism from our readers.